Werner Is Now Hiring Solo Company Drivers In The Danbury, CT Area! Thanks To Our Many Divisions & Diverse Operations, Our Drivers May Live In Any Area Of The Country! 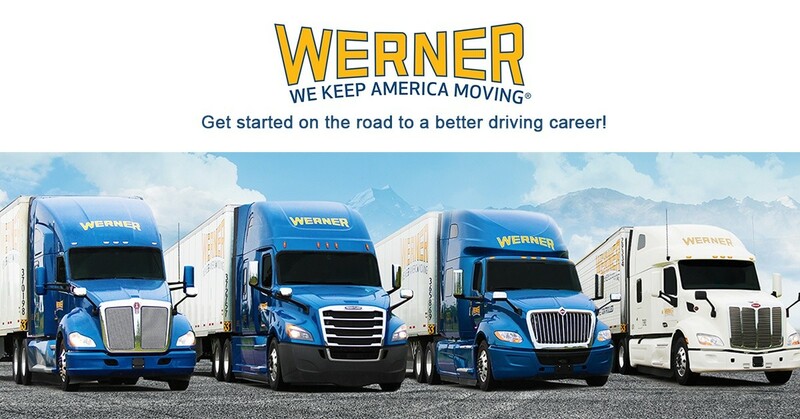 Werner is Now Hiring Solo Company Drivers across the U.S.! Paychecks -- When and How? Werner Enterprises has made it easier, faster and less expensive for you to drop an envelope into a TRIPPAK EXPRESS drop box after every load. With this program in place, your money is available to you faster than ever before. Every Thursday, you can have your check mailed to your address or direct deposited to your bank. The Werner Enterprises Electronic Logging Devices - This system replaces traditional paper logbooks. It’s connected via satellite through QualcommTM and assists drivers in tracking their hours of service. No lines. No math, no paperwork. You can focus on driving. Own Your Own Business - If you are a recent driving school graduate and are thinking about becoming an owner operator, ask your recruiter for details!